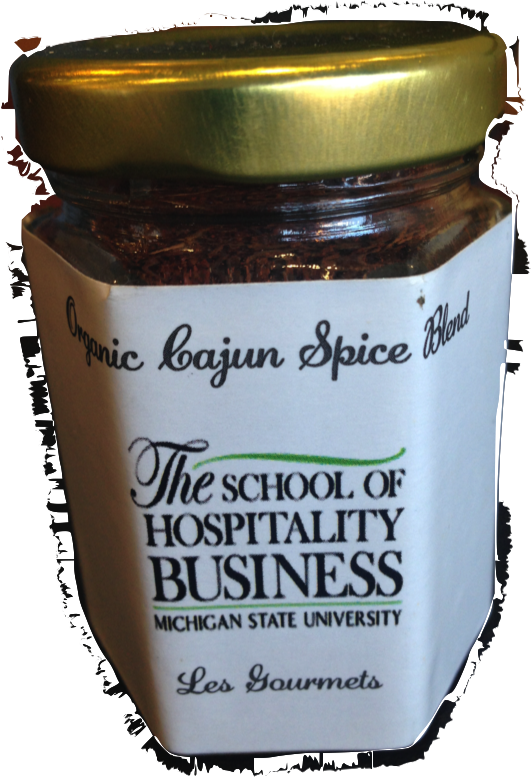 This Organic Cajun Spice Blend has been created by the Les Gourmets culinary team, along with the Chefs of The School of Hospitality Business at Michigan State University, as the Signature Spice of Les Gourmets 2013 "A Stroll Through The Big Easy". This zesty blend pays tribute to its New Orleans roots, and you can take home the southern spice of last years event with our packaged 2 oz. jar. Please email: msulesgourmets@gmail.com if you are interested in purchasing our Signature Spice.